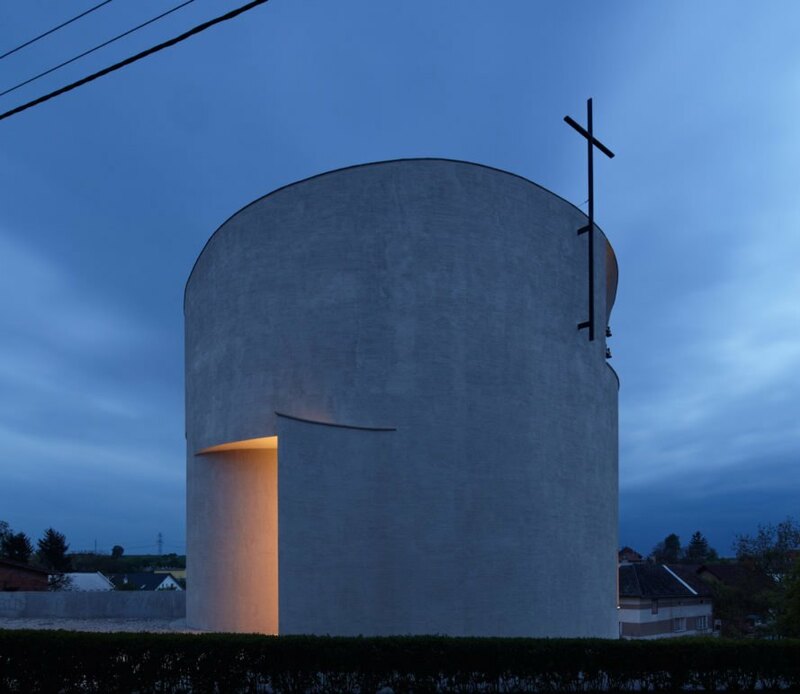 The Church of St Wenceslas was carefully placed at the heart of Sazovice to “amplify the spiritual sense of the church.” Instead of a rectangular form, the architects opted for a simple cylinder that’s roughly the same size and proportions as the old rotunda at Prague’s famous St. Wenceslas Chapel. The newly built church in Sazovice also contains relics of the saint. 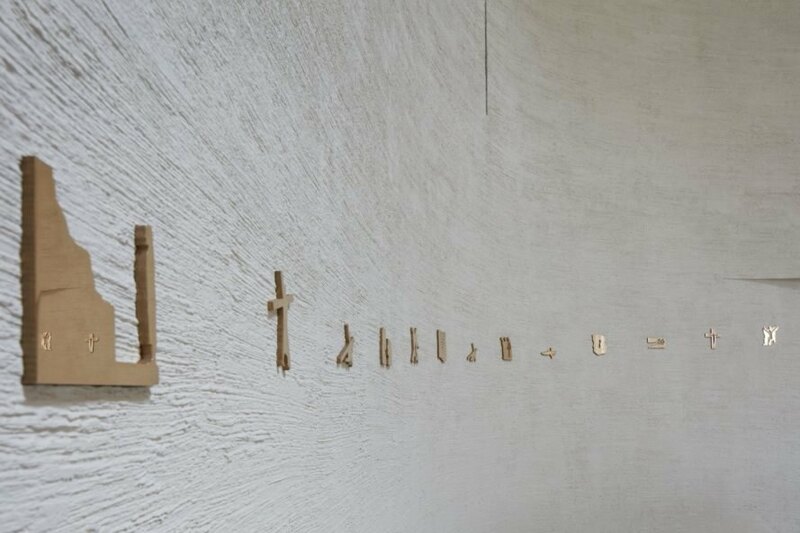 Unlike its richly decorated predecessors, the Church of St Wenceslas is deliberately minimalist in order to create a meditative environment. The white exterior is made of reinforced concrete covered in plaster while the interior features light colored timber pews, furnishings, and ceiling. 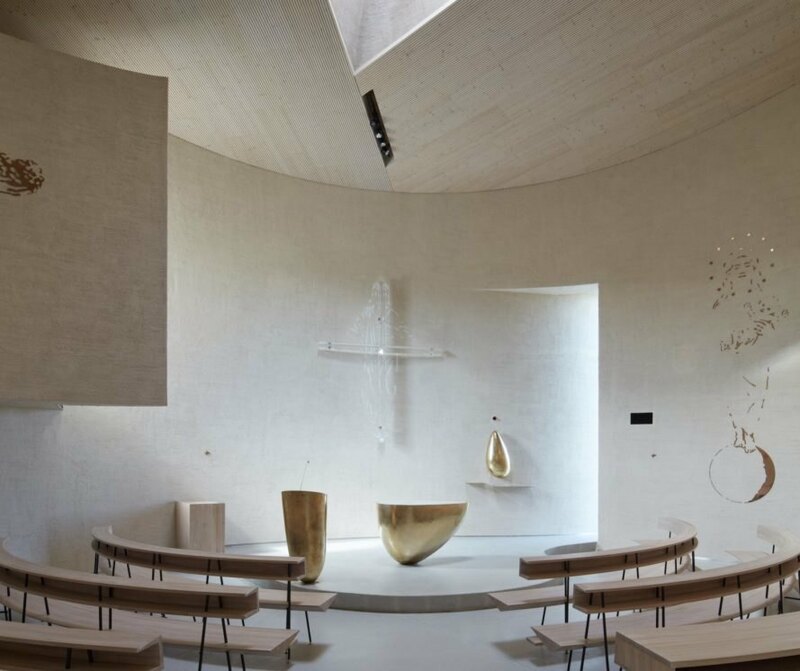 The altar takes on a sculptural appearance with its shiny bronze shell crafted with an organic shape. A variety of window sizes and shapes punctuate the curved walls and roof to let in glimpses of the outdoors and natural light. 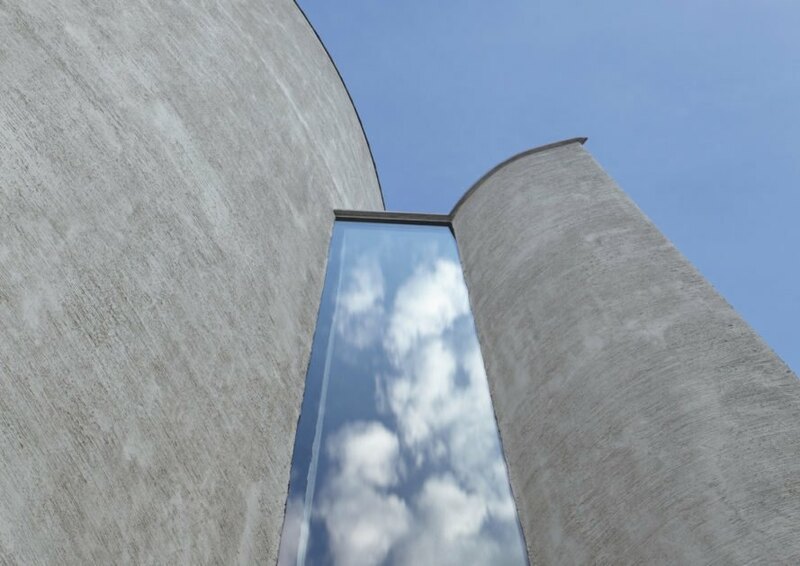 A beautiful modern church that looks like a sculptural work of art has popped up in a Czech village. 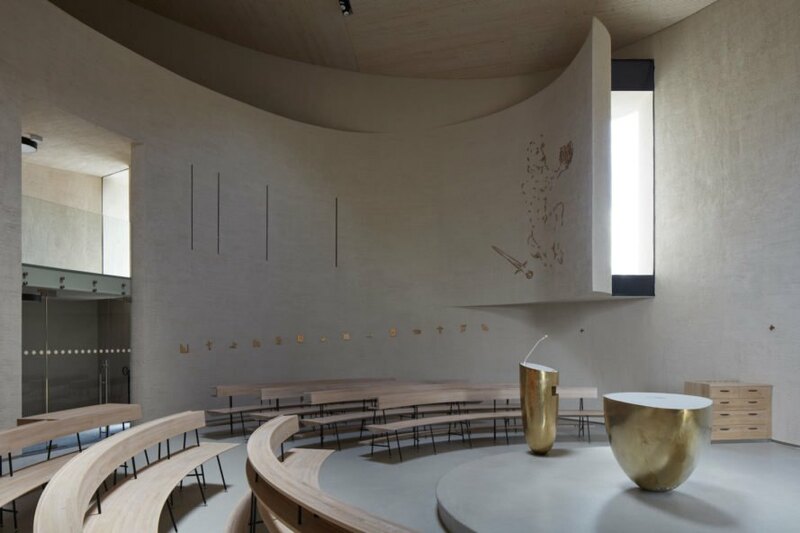 Brno-based studio Atelier Štěpán designed the Church of St Wenceslas that combines inspiration from the historic rotundas built in the 10th century with contemporary and minimalist styles. The church has become the new focal point for Sazovice, a village that had sought a new church since before World War II. 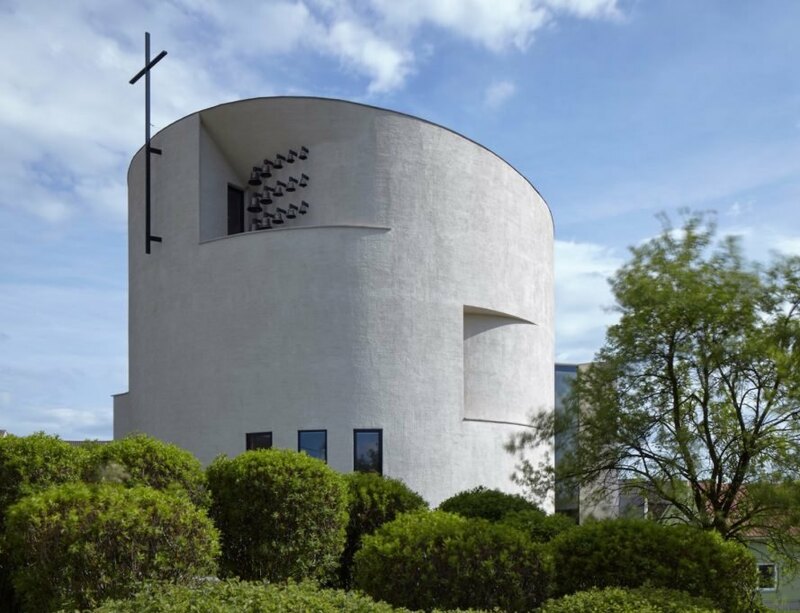 Instead of a rectangular form, the architects opted for a simple cylinder that’s roughly the same size and proportions as the old rotunda at Prague’s famous St. Wenceslas Chapel. 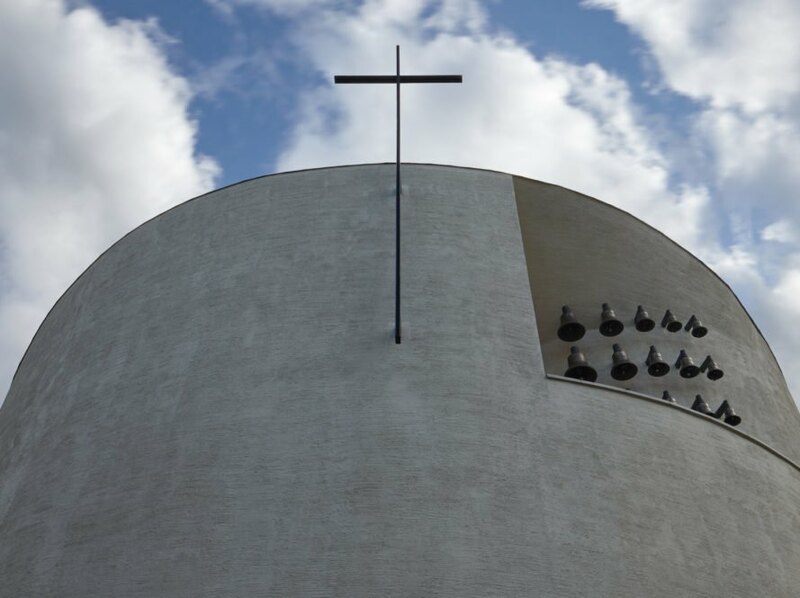 Unlike its richly decorated predecessors, the Church of St Wenceslas is deliberately minimalist in order to create a meditative environment. 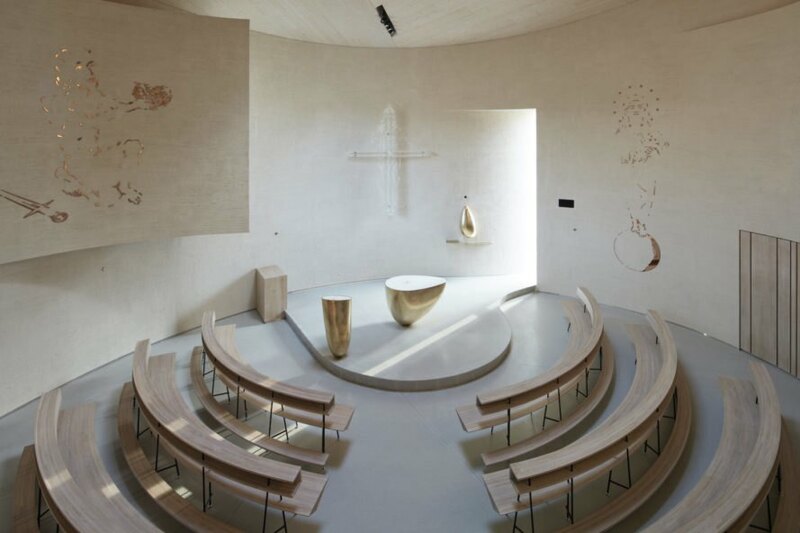 The white exterior is made of reinforced concrete covered in plaster while the interior features light colored timber pews, furnishings, and ceiling. The altar takes on a sculptural appearance with its shiny bronze shell crafted with an organic shape. A variety of window sizes and shapes punctuate the curved walls and roof to let in glimpses of the outdoors and natural light.